like pants + socks but better. this ingenious piece mimics the look of their favorite cozy combo, but is all-in-one for ease. black makes being comfy look fashionable again, so they can run around (or roll, whatever’s their style) in a flash. 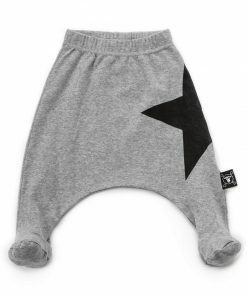 a big nununu signature star takes clever placement at the left hip, because a star has certainly been born.